I might've mentioned on this blog that my favorite hip hop group is Slaughterhouse, and if you're familiar with them, you might like this post. If not, consider this the first Halloween post of the season. Tuesday to most of you was August 28th. For us House Gang fans, it was Slaugust 28th, the day their much anticipated 2nd album welcome to: OUR HOUSE came out, their first on a major label (which just happens to be Eminem's Shady Records) and a day I've been looking forward to. 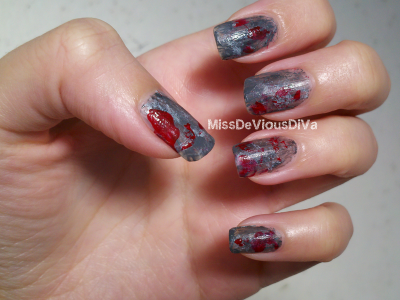 I wanted to do theme nails, because I've seen music inspired nails on other blogs before, but none inspired by Slaughterhouse, or any of my favorite rappers. The inspiration for these came from the artwork to their first album, their EP, and a picture of a house that was on the front page of their site a few months ago. 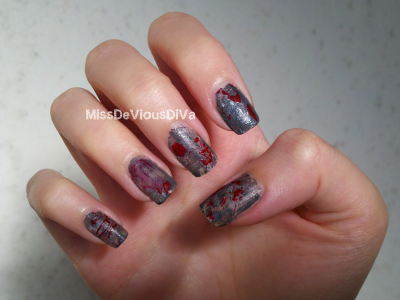 Dark, dreary, grey, and blood splattered. Right up my alley. 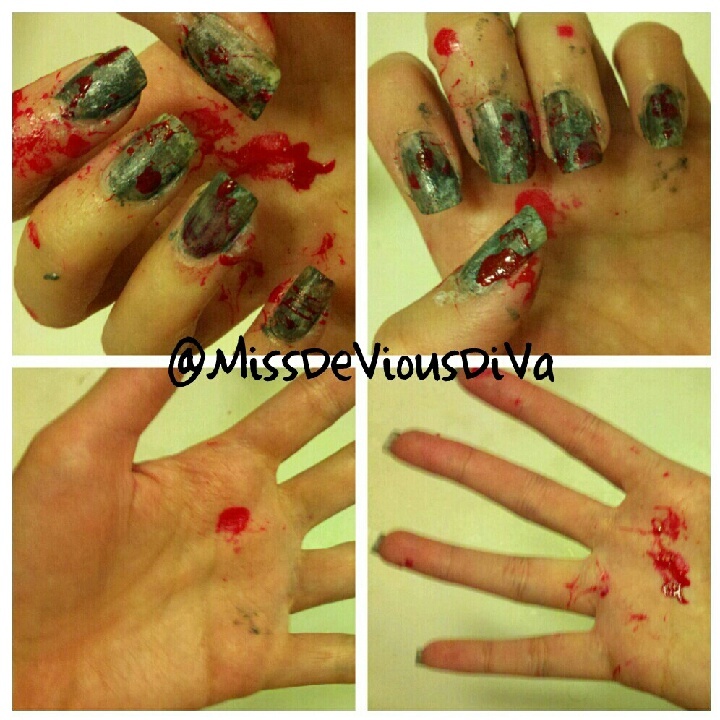 I did the blood splatters with a straw. But this method? I'm resisting the urge to drop profanity that would probably make all 4 grown men in Slaughterhouse blush. It is MESSY !!!! I never played with Halloween fake blood (which is probably a surprise to some people ha!) but if it's not long lasting then nail polish will do the trick. These would be great for Halloween. 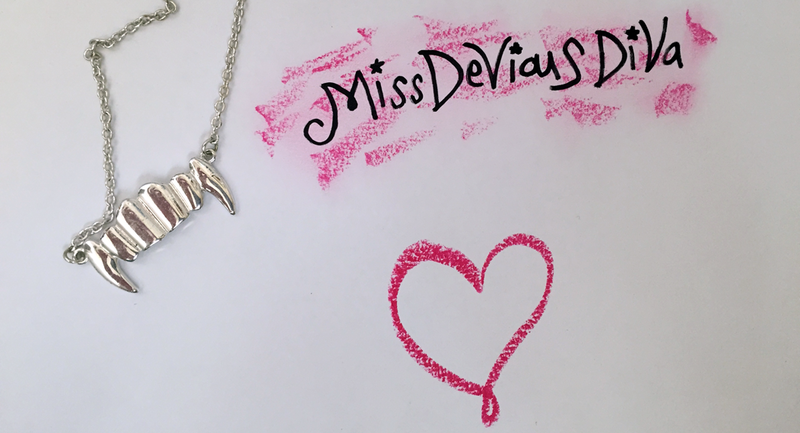 Or if your name is Miss DeVious DiVa you'll rock these in August like it's the hot new thing.